Freelancing is on the rise. According to the Bureau of Labor Statistics, as of May 2015, there are 15.5 million Americans who are self-employed. What’s even more surprising is that this number could rise up to 40% by 2020 based on a study by Emergent Research. To quote: “The long-term trend of hiring contingent workers will continue to accelerate with more than 80 percent of large corporations planning to substantially increase their use of a flexible workforce”. So is freelancing becoming more and more an ideal career option? Despite the numbers, and the growing population switching to self-employment, freelancing should not be taken without due consideration. On the surface, it may seem easy. Working on your own time, with the freedom to choose where you work, and the opportunity to become your own boss, sounds almost like a dream come true, right? Not quite. Well-established freelancers know that freelancing isn’t all fun. Freelancing also means living your days with ALWAYS a looming deadline behind you. This means the start of your marketing experience, where you’ll have to advertise your name in order to get clients. You can’t afford to slack. Here, the more you work, the more you get paid. In freelancing, achieving success sometimes doesn’t depend solely on your skills and hard work. At times, it also depends on your accountability. If freelancing is a viable option then why are there so many people failing and going back in their miserable corporate jobs? Perhaps they lacked will? Focus? Were they simply moving forward without a plan? Every new freelancer will have a lot of question when they first start their freelance careers. A lot of doubts and anxiousness about the quality of their work, their price, and the clients they should work for. Do you know how much your time is worth? When you’re a freelancer, this can be really hard to tell. Full-time employees have salaries that include their personal costs like taxes, healthcare and even house loans. However, in the freelance world, since you work for yourself, you have to cover all those expenses. The problem with freelancing sites nowadays, is that a lot of your competitions have low rates. They can afford to price so little since the majority of these freelancers live offshore and in countries where the cost of living is also low. If you truly care and take pride of your work, you must learn to rate your services fairly. Aside from your hourly rates, you also have to consider all those unpaid hours you are going to spend doing admin works. 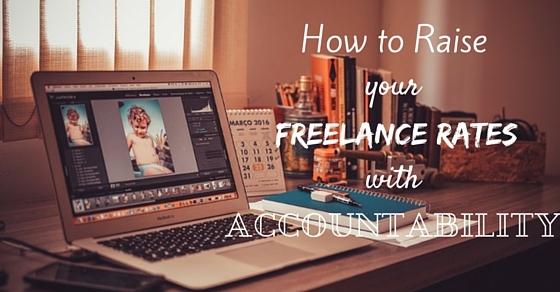 Being a freelancer means you’ll also be your own accountant. You will have to take unpaid hours to settle your finances. Unless you’re a well-established freelancer who can afford himself his own accountant, you really have to do all these time-consuming admin tasks yourself. On a whole, your freelance career will depend on how much value you put in your time, as well as whom you choose to work for. Great clients are rare; you have to sift them out of scams, low payers and unreliable ones. Tip: Want to know how to set your price correctly? Use Your Rate, to properly calculate your freelance charges. Freelancers who don’t have any experience and knowledge about marketing usually get stuck on this phase to the point that they’d quit. Although it’s true that the best thing you can do to get hired over and over again is to work diligently, you also have to search for clients yourself. Since the competition is very stiff, you will need to find a way to stand out and outperform everyone. Clients know all the places to get satisfactory work, it’s your job to find a way to seek out good clients, and keep them recruiting you by doing well in the projects you were assigned to. Most freelancers don’t take the time to align their tasks with the brand or their client’s interest. Also most of them never try to establish a client connection, which is one of the most crucial parts in freelancing. Great freelancers needn’t market their services; their work does it for themselves. A satisfied client will not only hire you again, he will also refer you to another. Clients always trust recommendations more than a portfolio or a killer resume. Freelancers are often dubbed as lazy people. This makes it hard for some clients and themselves to take their work seriously. To reach success in freelancing, you need to have a brand and a name. You need to become an authority figure in the niche you choose to work on. This means you will need to have your own personal website, portfolio, and testimonials. Successful freelancers are good businessmen. How can you add more authority to your brand? Attending events and speaking on conferences is a great way to improve authority. It’s also where your potential client might be. Potential clients and employers do background checks by simply googling your name. Strive to keep your professional image online. You can improve your online presence by starting a blog or by guest posting to other sites. Great freelancers are people with accountability. In order to create substantial change in their business, and in their lives, they practiced great discipline and responsibility. Are you accountable with your time? Almost everyone can admit that they are pretty bad at managing their time. However, they seem to forget that when managing time, you’re not only managing the hours but also yourself. Proper time management involves knowing how long your activities would take. People often underestimate the time it will take them to finish the activities they planned for the day. Being accountable with your time means knowing how long your activities would take. Most of our time management problems come from underestimating the time it would take to finish the activities we have planned for the day. You can achieve better harmony by keeping a time log. This exercises your discipline and willpower to complete tasks as planned. Spend fewer moments procrastinating and get more work done. Accountability allows you to acknowledge what tasks are worth your time. For example, many workers seem to lose valuable hours checking their emails and social media notifications. This is not working. Reducing the time you spend checking emails will help you carve more hours for your projects. Accountability is not only an about time, but freelancers also have to be accountable with how they spend and save their money. Smart freelancers create passive sources of income to help them pay their bills on time. Most freelancers don’t always have great months, and on occasion, they might experience a lack of clients. During these moments, it’s much wiser not to spend your time hunting for clients but to find sources of passive income. If you’re a freelance writer, here are great options to try if you want passive income. If you’re a freelance designer, here are options to try for passive income. Sticking to a goal is hard especially when you have no one to support you. This can be remedied by having an accountability buddy. An accountability buddy is like ‘a partner’ or ‘a friend’, someone who will help you manage your time and check in with you on a regular basis. In Steph Autheri’s case, it was her writing partner who became her accountability buddy. Every week she urges her writing partner to send her threatening emails that will force her to stay accountable and stick with her goals. Some people have an accountability group. This is composed of three or more people who are willing to meet up on a regular basis and to check in with their goals. This could be your best friends, or your freelance buddies. You want to have people in your group who are serious about their success. Aside from accountability partner and groups you can also increase your accountability by using apps and the Web. Here are two websites that target your accountability and help you reach your goals. Stick – Setting goals don’t only make success easier to accomplish, it also holds you accountable. Whatever you strive to accomplish, you can. Stick is an app developed by Yale University economists which uses money as punishment when you fail to reach your goals. Using the site you can make a commitment which will bind you to a goal according to a time frame which you set. You can also opt how much money you need to put on the line. Write or Die – Made for writers, this app is ideal for the lot who works best under pressure. Made by developer Dr. Wicked, Write or Die is a simple tool that can motivate writers into achieving their daily word count. It works on the punishment principle, like Stick, but instead of money it uses different kinds of visual warning to force you to write. Working for you is never going to be easy. Without support from friends, responsibility, and grit, it’s easy to lose track of your goals. Accountability helps you deliver powerful results in your freelancing business. With accountability you’ll learn how to set boundaries and hold not only yourself but other people accountable.